As the festivities approach I am all about finding the perfect outfit with contemporary, modern twist and a little unconventional feel. 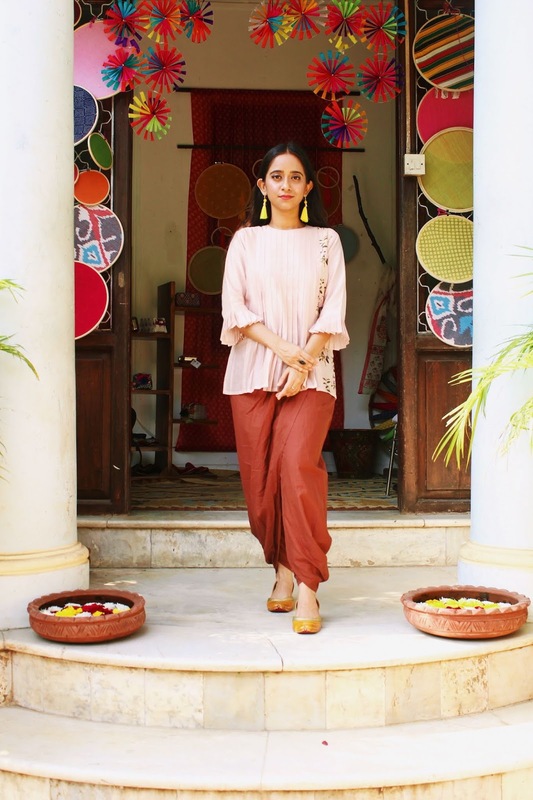 This baby pink kurta and dhoti pant tick the right box of being comfortable, stylish and ethnic. 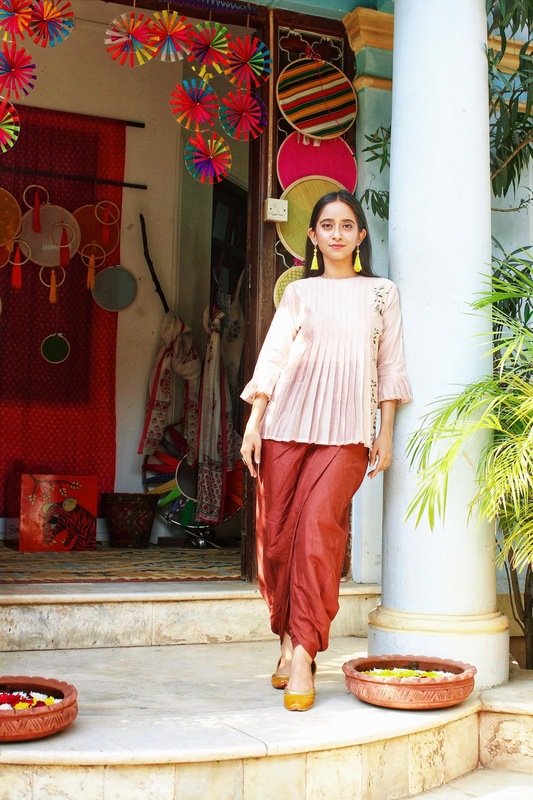 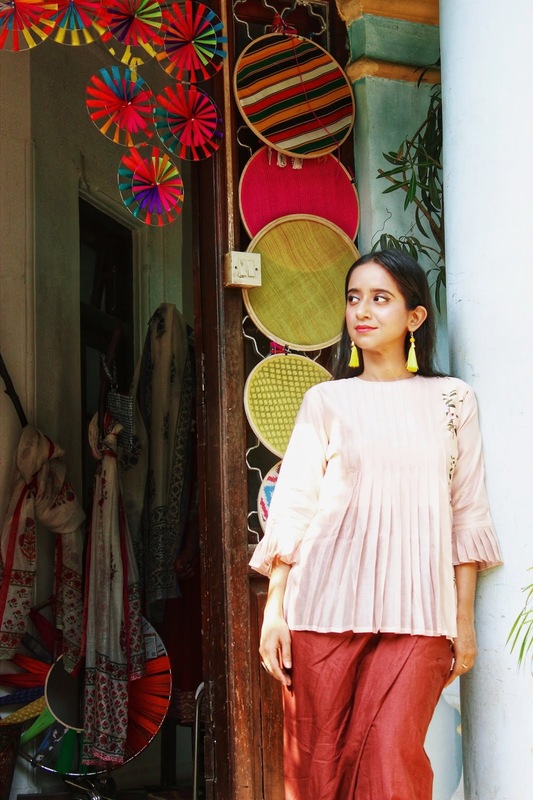 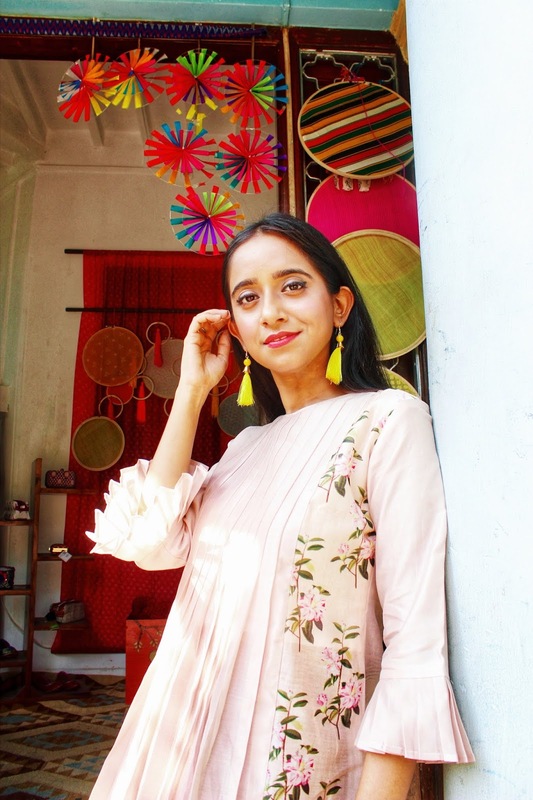 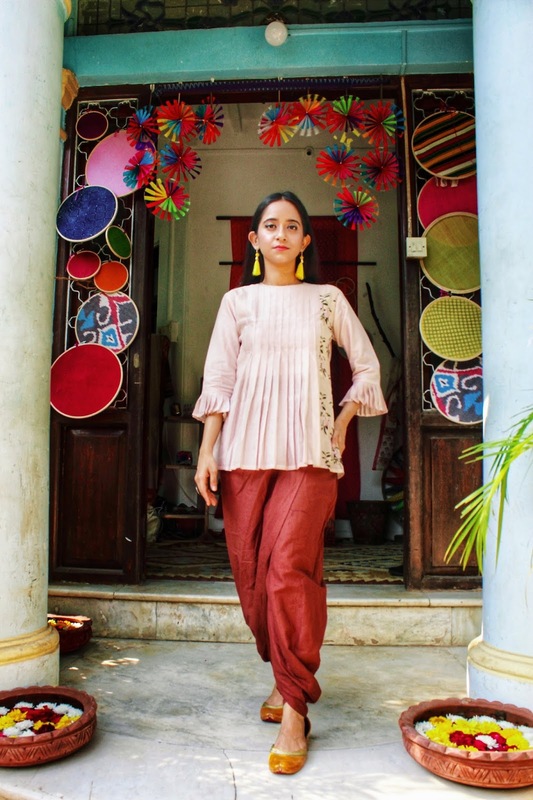 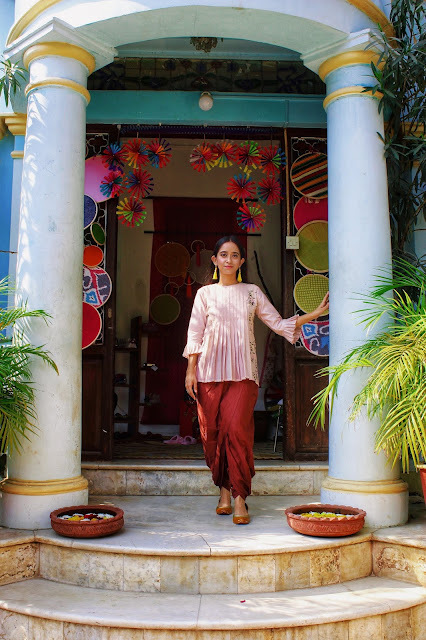 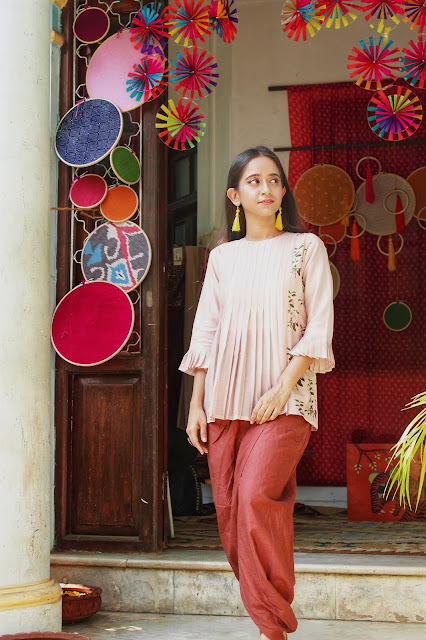 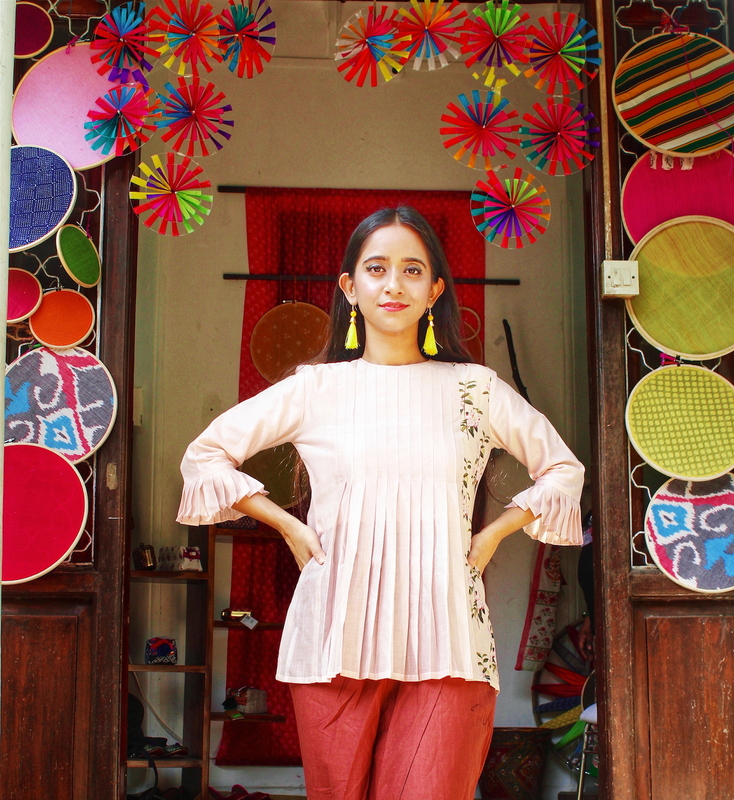 The flowy silhouette of the kurta with pleats and bell sleeves work well with the relaxed drape effect of the dhoti pant along with the juti and tassel earring.